Renovate an existing vacated branch bank building constructed of brick and steel frame in the early 1960’s. The owner requested the basic shape of the existing building be kept yet the program required that the structure function as a headquarters instead of a branch as the original building had operated before. The resulting renovated building, based on the client’s needs and desires, almost doubled it in size from 3,400 sf to 6,400 sf. The clients wanted their logo to be a prominent feature of the building. So it was decided to emulate the circular configuration of the logo into a curved entry form. 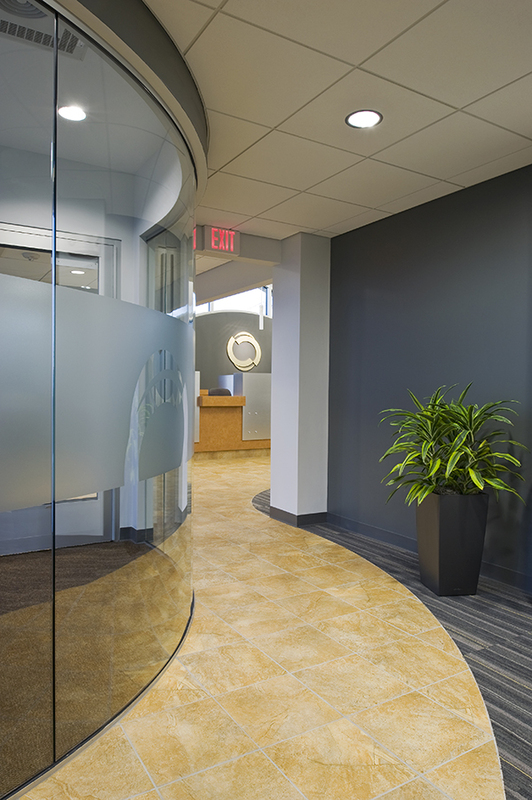 The tall cylindrical form of the entry draws the eye to the entrance door and then varied flooring materials lead the customer to the customer service stations. The cylindrical form also provides a contrast to the rectilinear shape of the building and grid pattern of the joints that the metal panel skin require. 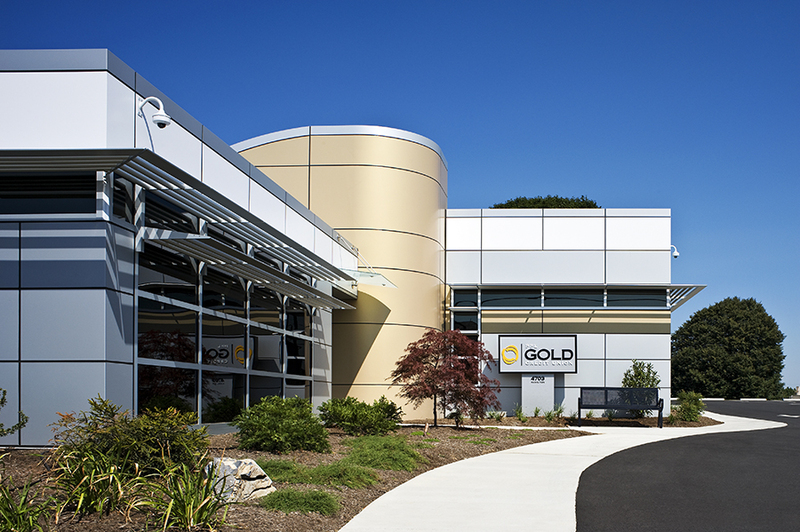 Since the building is a credit union for the public, the exterior design of the building is intended to project a positive image into a prosperous future, with the gold color of the accent color panels making a reference to the institutions name. New 21,000 sq. 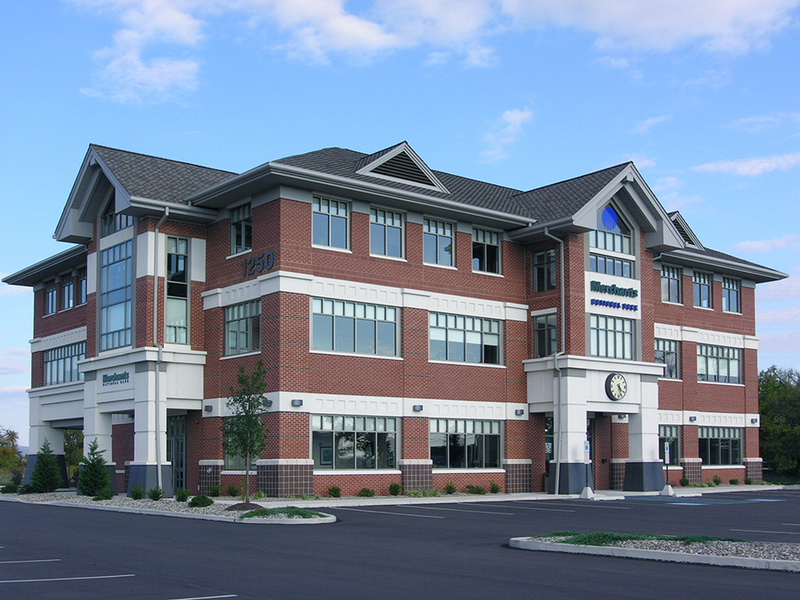 ft., 3-story building that is the Headquarters for the bank and a branch bank with drive-thru, conference center and corporate Data Center. Brick and cast stone façade. 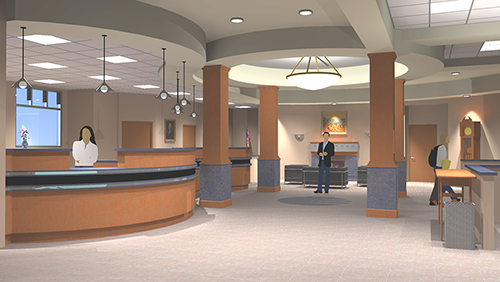 The interior Lobby has a curved teller line.